I agree...I've heard so much about this book. I figured that by downloading the sample, I'll have no excuse (other than my ever overflowing TBR piles) not to start reading it soon. I looked at your list and am placing Article 5 on my TBR list. Thanks for bringing it to my attention! Got Yellow House from Amazon (via book bub) at a bargain price. 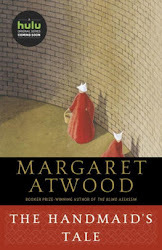 Hope to read it soon-ish. 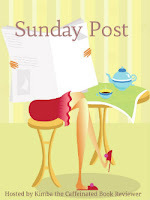 Looking forward to participating regularly in your Sunday Post. I'm following you on your blog and twitter. Nice haul. I hope you enjoy them and your week ahead. Thanks, Jenea. There are some interesting books in your post, too. Enjoy reading them! Thanks for stopping by...and enjoy your reading and reviewing! I enjoyed seeing the YA titles in your blog post.